Tweed is an Auckland-based alternative folk band. The band formed early in 2012, after two of its members returned from a year of overseas van-dwelling with a collection of homemade songs. In 2013, Tweed released their debut EP, Buzzwords, and were commissioned to write, arrange and perform the score for Don't Blink Theatre Company's production of Vinegar Tom. Tweed released their first full-length album, High-Brow Blues, and toured the North Island in 2017. Since then, the band has been invited to perform at the Auckland, Canterbury, and Whare Flat (Dunedin) Folk Festivals and have enjoyed sharing their music at Auckland Council’s Music in Parks. In 2019, Tweed was awarded the Daphne Gretta Mary Stevens Community Music Scholarship. This enabled the group to work with young people to develop songwriting and performance skills and create a year of family friendly music events in the community where the band grew up. Since its inception, Tweed has honed a distinctive style of catchy melodies, poly-rhythms, and tight-knit, complex vocal harmonies. 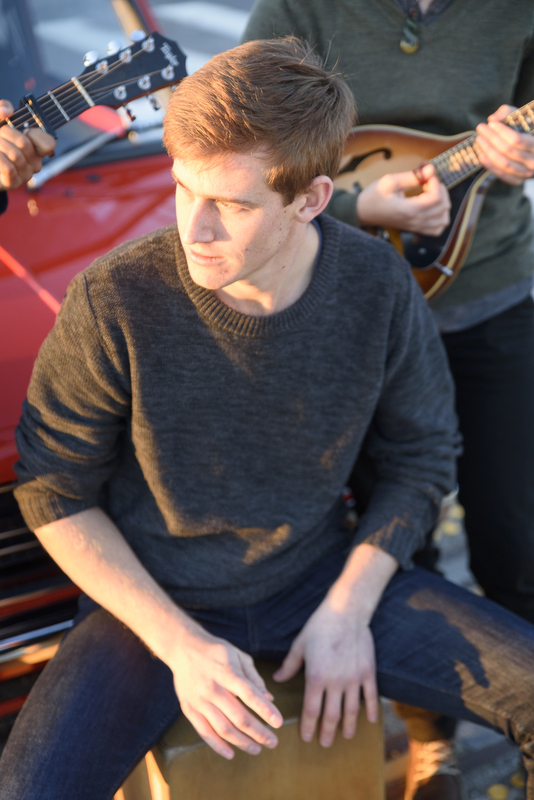 Tweed’s music has a harmony-rich vintage sound reminiscent of Crosby, Stills & Nash, and Joni Mitchell, and cites the Punch Brothers, Joan Armatrading, and Ani diFranco as main influences. Tweed plays widely in folk clubs and music venues around Auckland, teaches a range of interactive workshops, and has carved a niche within the city's burgeoning youth folk scene. Sign up with your email address to receive info about gigs and new releases. August 2015 / Live from Karepiro Bay.